2017 has been great to us so far! 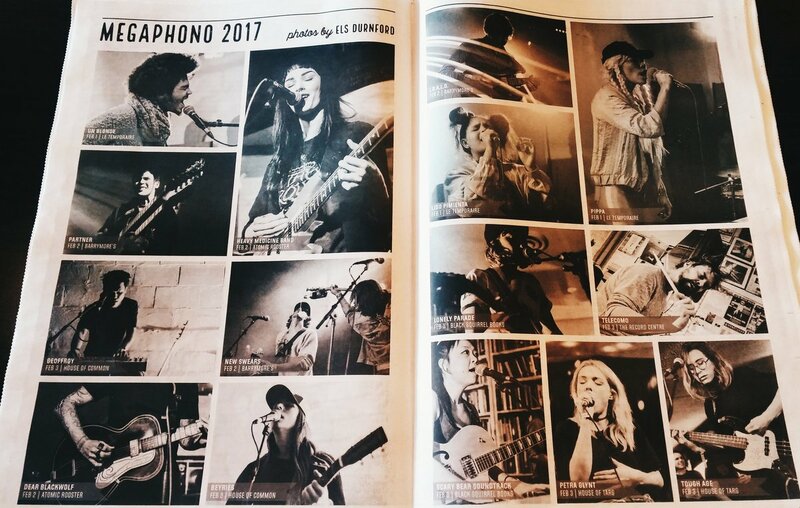 We played a sold out show for Megaphono Festival at Black Squirrel Books and even made the centrefold of Ottawa Beat newspaper! Check out more photos from our Megaphono show here (Thanks Ming Wu)! We’re sitting on some super exciting news that we can’t wait to announce…so stay tuned! Meanwhile, Gloria and Dannik will be taking part in a very special SBS performance next week…come check it out!